Our Primary School Team Building days are perfect for many different occasions during the school year. Whilst fostering different schools’ PSHE aims we can help organise a team building day that suits your schools Team Building needs . We are able to organise a day with team building sessions for all classes. This includes Reception and KS1 who we offer shorter sessions for allowing for a full school team building day. If you require longer sessions for certain classes or year groups then we can also offer this with many schools running sessions for half or full days for KS2 children. For upper KS2 children we can also run our Challenge Carousel. 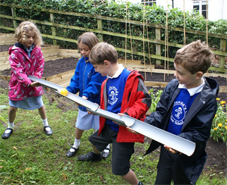 Our large range of activities can be run in your school hall or outside playground or field. 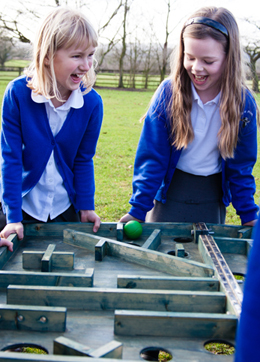 The activities encourage the children to share ideas, communicate and plan their problem solving approach whilst working together to achieve success. We aim to bring activities to your school that you would otherwise unlikely be able to access. Our equipment is bespoke to our company and created with the school setting in mind. All of our individual activities are risk assessed and run by experienced instructors. The Problem solving Companies Primary School Team Building Days eliminate the stresses for schools and allow teachers the chance to stand back and observe their pupils in group situations.